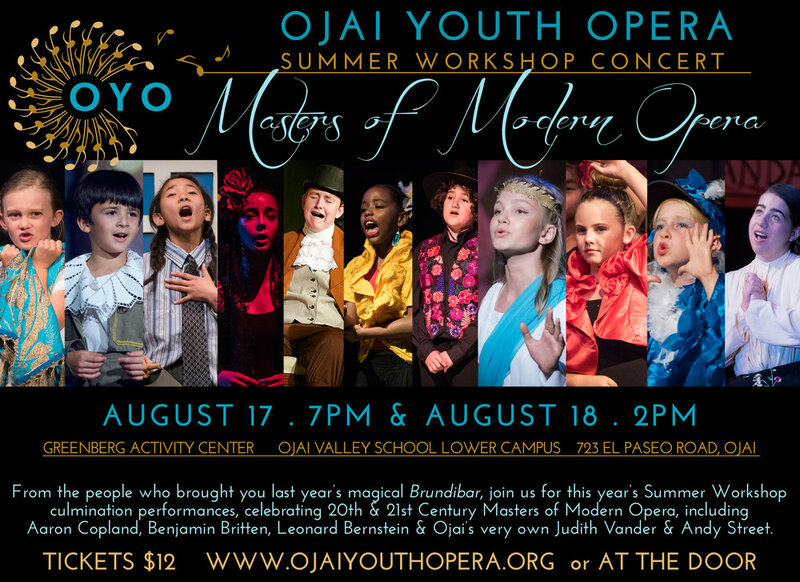 For our Workshop’s 7th year, Ojai’s revered musicologist and composer in residence, Judy Vander shared her opera, The Snow Queen, with our singers. The focus of this summer’s workshop was modern masters from the 20th Century to the present. It was another exhilarating two weeks of artistry, collaboration and celebration with some of the greatest instructors in the field of classical music! Although we have held our workshops at the Ojai Art Center in years past, we moved to the beautiful Ojai Valley School Lower Campus!